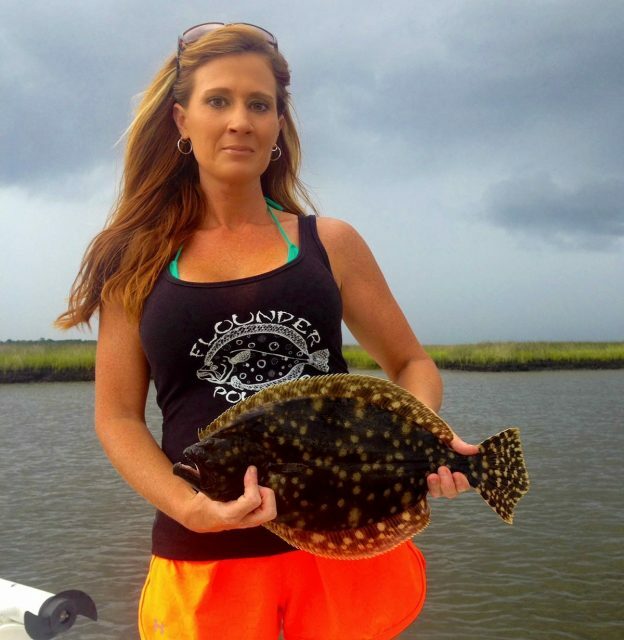 BD would like to welcome Laura Thompson to the rank of BD Fishin Chick. She shares her story and goals with us. Laura Thompson:I currently live in the Fernandina Beach area of North Florida. Laura Thompson:I’m a licensed real estate agent of thirteen years. BD:What are your other hobbies? 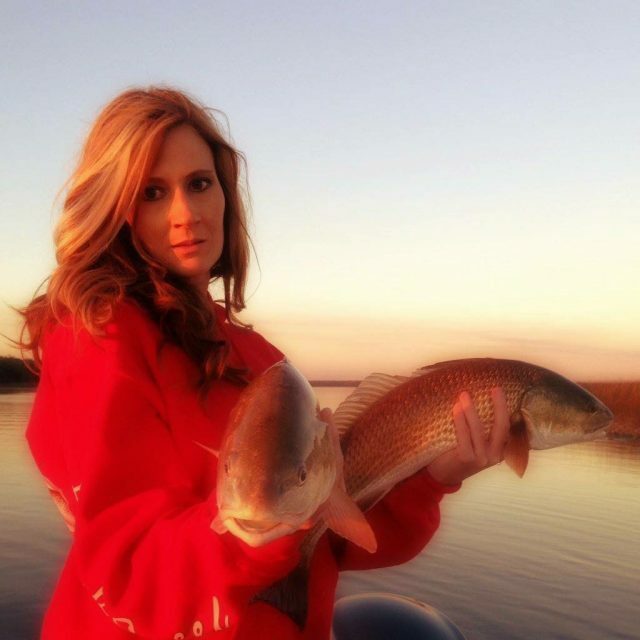 Laura Thompson:When I’m not fishing, I enjoy working out or just being outdoors. BD:Who or what got you into fishing? Laura Thompson:I grew up in a rural area as a child so I had to find my own entertainment. I would spend hours fishing in our pond and creek. BD:How long have you been fishing? Laura Thompson:I’ve been fishing for about thirty-five years now. BD:What types of fishing have you done and where? 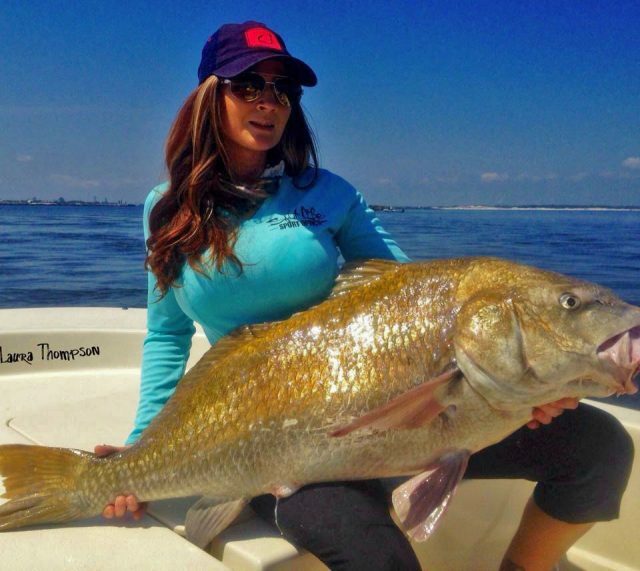 Laura Thompson:I grew up freshwater fishing but my passion turned to saltwater in my adult years. I mainly fish inshore around the Fernandina Beach and Jacksonville areas of Florida. BD:What is your favorite kind of fishing so far? 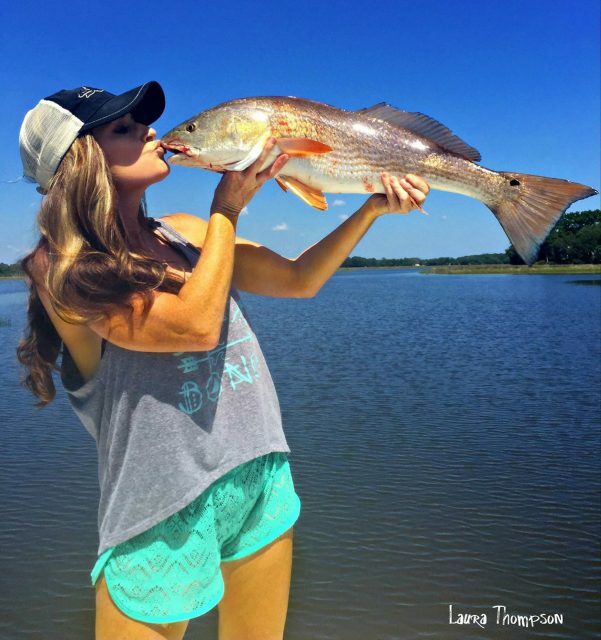 Laura Thompson:My favorite kind of fishing so far is saltwater, inshore fishing using both artificial and live bait for reds, sheepshead, trout, flounder and black drum. BD:What are some future goals or plans pertaining to fishing? 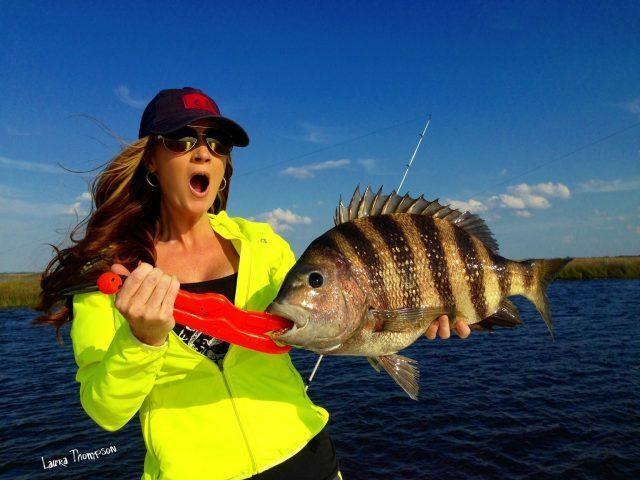 Laura Thompson:I have a bucket list of fish that I’d like to catch over the next couple of years, which will require traveling all over the states. BD:What part of fishing do you like the most? 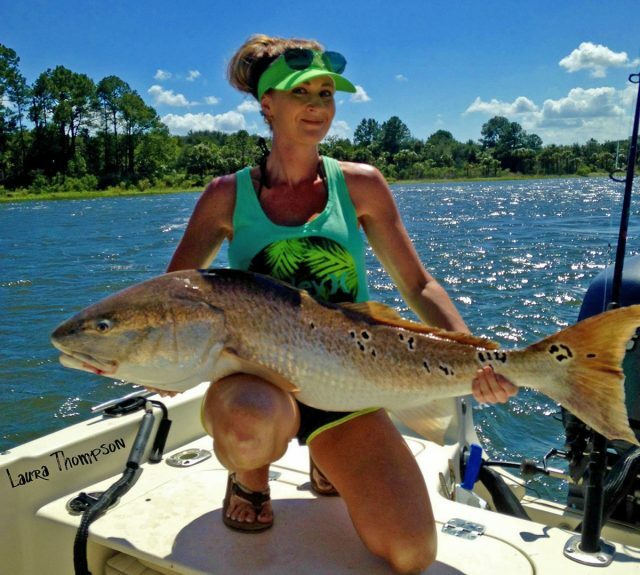 Laura Thompson:If I had to choose what part of fishing I like the most, it would be sight fishing for reds up in the shallow waters of the creeks. I absolutely love the process of having to search them out and then catch them. BD:What other “aspects of you” would you like to tell us? 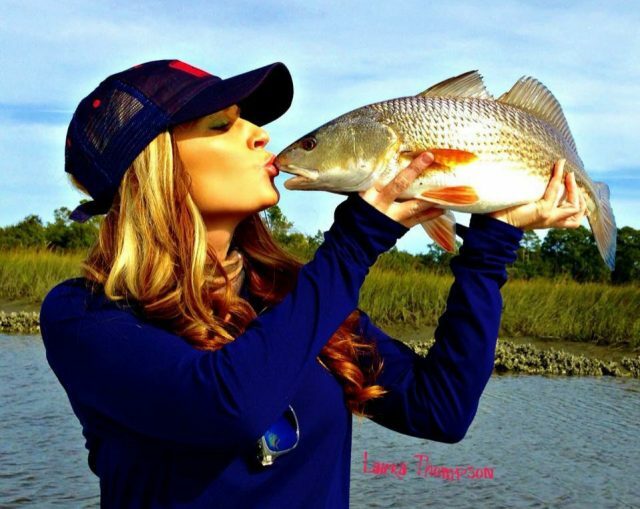 Laura Thompson:Thankfully I’ve had a lot of awesome moments in fishing, but one of my favorite memories goes back to me catching my first bull red. I remember hearing the drag scream and seeing the rod doubling over. I grabbed it and felt a pull like I’ve never felt before. This fish literally made me feel like I had to hold on for dear life. It was a tough battle but he finally reached the surface and I was in awe. I remember being awestruck due to his magnificent size and vibrant color. From that day on, I have a love for these fish like no other and have been fortunate enough to have lost count of how many I’ve caught.